The death toll of the Cholera epidemic in war-ravaged Yemen has risen to 2,151 since it broke out in late April, the World Health Organization (WHO) said Saturday. A total of 800,626 people from 22 provinces out of total 23 have been infected, WHO said in a statement distributed to the local media. The death toll has increased by 24 compared with the WHO report a week ago, while the suspected cases have risen by 33,102. 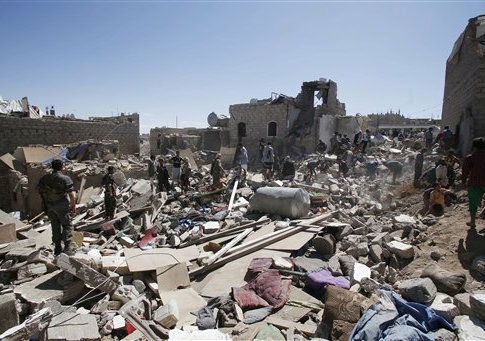 Most of the deaths were reported from the northern province of Hajjah, while most of the infected cases were reported from the northwestern port province of Hodeidah on the coast of the Red Sea, both under control of Shiite Houthi rebels. Last week, the International Committee of the Red Cross expected the epidemic to hit one million by the end of the year. The war in Yemen, which has lasted more than two years and a half, has destroyed the bulk of the country's water and sanitation systems, with more than half of Yemen's health facilities out of service, and about 15 million people gaining no access to safe water and basic healthcare. The war has also pushed the country to the brink of famine, with an estimated 385,000 children suffering from severe acute malnutrition, thus putting them at heightened risk of acute watery diarrhoea and cholera, according to the UN agencies.